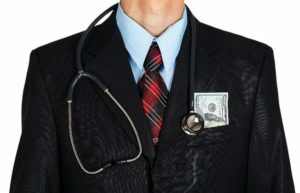 Financial challenges clearly rank number one for hospital CEOs. Whether it’s falling reimbursements, quality-related compensation penalties, or escalating operational expenses, these are the things that most concern hospital leadership. Efficient alternatives and solutions are needed. Ranked nearly twice as high as the next subject, financial challenges are the primary focus of hospital leaders. As shown on the survey list, healthcare reform implementation; Results of the American College of Healthcare Executives (ACHE) 2013 survey (release dated January 13, 2014). The survey ranked the 11 topics that are regarded as the top issues in the hospital business. In fact, financial concerns have persisted as the primary issue for hospital leadership over the past 10 years. With the mounting pressures on cost containment, hospital leaders are increasingly turning to industry consultants and companies like Soriant Solutions, establishing partnerships designed to decrease cost, improve employee engagement and enhance the patient and visitor experience. Soriant Solutions’s team is composed of former healthcare contract services executives, with a sole focus on the hospital’s support services arena. Soriant offers expertise in delivering operational savings to both contracted and self-operated departments in concert with elevating quality and patient outcomes. Soriant Solutions has a reputation in the industry for delivering sustained targeted savings to hundreds of hospitals across the country. Quality outcomes have also been improved, in collaborations with Soriant, by increasing patient satisfaction scores, hospital café revenues, and enhancing internal customer service. Tom Millar is a seasoned operations leader with expertise in contract management services, profit and loss management, cost reduction initiatives, client retention, and business growth. He possesses a passion for developing and mentoring subordinates, building teams, and working with clients to drive operational savings.